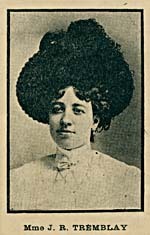 Stéphanie Massey was born on January 5, 1885. She adopted the stage name of Fannie Brémont and in 1898 was part of French actor Paul Cazeneuve's troupe at the National theatre. 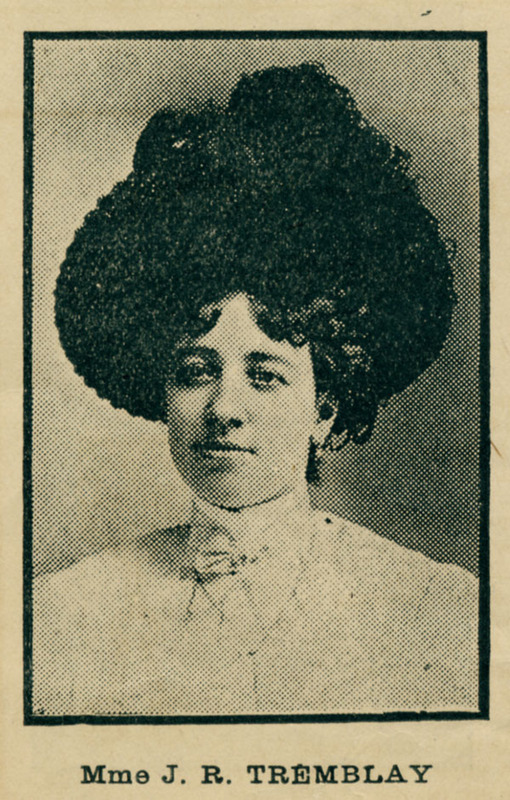 In 1901, she performed with Juliette Béliveau in Uncle Tom's Cabin at the National. In the same year, she married the performer Joseph-Robert Tremblay (born in Ottawa, 1882 - died in Montréal, 1959). Both were in the troupe at the National and those of other theatres in Montréal, as well as performing in troupes of the Théâtre Populaire, Palais-Royal and the Princess in Quebec City. It was in Quebec City, between 1920 and 1924, that Fannie Tremblay and her husband managed the Théâtre Impérial. It was also in the Old Capital that the couple founded, with other actors, the Troupe du Clocher, which was probably the first permanent francophone touring troupe. Fannie Tremblay was one of the first francophone artists to record for the Starr company, beginning in July 1920. She recorded 34 humoristic sketches, some with her husband and others with J. Hervey Germain. In 1924-1925, she recorded a dozen sketches for His Master's Voice with Elzéar Hamel and Conrad Gauthier. Again at Starr in 1927, she recorded more comic dialogues as well as some songs, including "Whing hein", a traditional song that became "Le Rapide blanc" in an adaptation by Oscar Thiffault. In the 1930s, the experienced actress was sought after for radio roles and got parts in many radio soap operas. She was one of the famous stars of Fridolinades by Gratien Gélinas and played in the first Quebec full-length films, such as Le Père Chopin (1945) by Fédor Ozep, Le Curé de village (1949) and Un homme et son péché (1949) by Paul L'Anglais. On television, she played in the soap opera 14, rue de Galais (SRC, 1954-1957). Among her recordings are "L'année bissextile" [MP3 2,175 KB] and "Une police d'assurance" [MP3 2,531 KB]. This actress, beloved by all, was over 80 years old when she left the stage. She died in Montréal on January 18, 1970. Coyright/Source: Unpublished research notes by Robert Thérien, music researcher, Montréal.